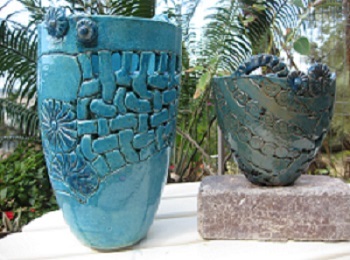 Showing minimal interest in what I then considered “chunky looking” clutter, I was literally dragged to my first pottery class to accompany a shy friend who would not attend alone. 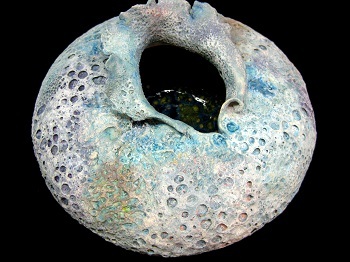 The minute I got my hands into clay I knew I was “hooked” and 30 years later its potential still excites me. I feel a continued necessity to cultivate a sense for artistic beauty because our culture tends to suppress this sense. 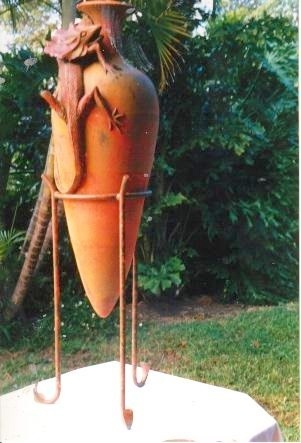 In 1980 I completed the Studio Ceramics Course at the Gold Coast Institute of TAFE and spent the following year sculpting with various teachers. More recently I completed the O.C.A. 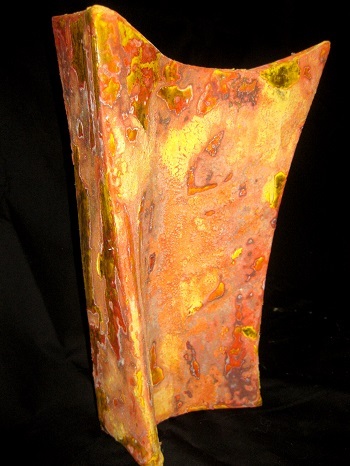 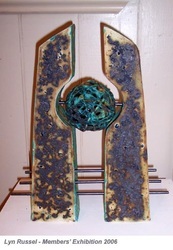 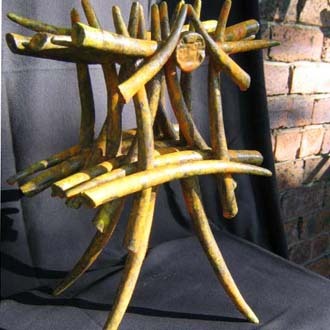 Sculpture Certificate in Brisbane working with a variety of mediums, but clay still remains my favourite. I enjoy both pottery and sculpture, particularly wildlife sculpture and am a member of the Queensland Wildlife Artists Association. 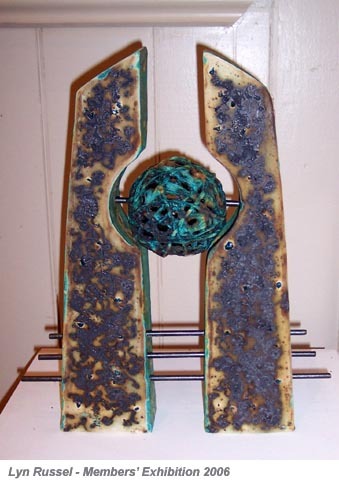 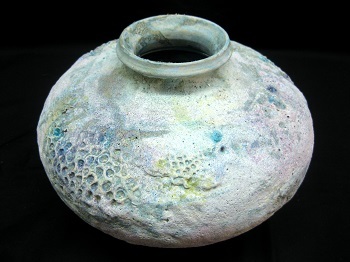 Currently my main interest is in surface texture and the development of dry, crusty and cratered surfaces to enhance my “ancient looking” vessels, and Raku firing is my “soul food”. 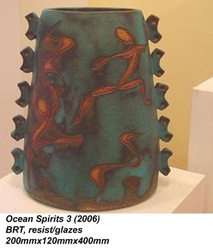 I have been teaching for Gold Coast Potters Assoc. 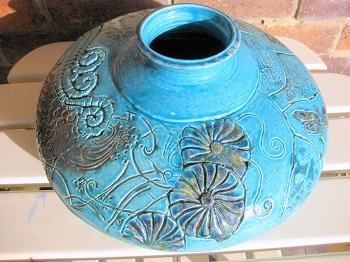 for the past 12 years and am currently teaching adult classes at their Mudgeeraba Classrooms.